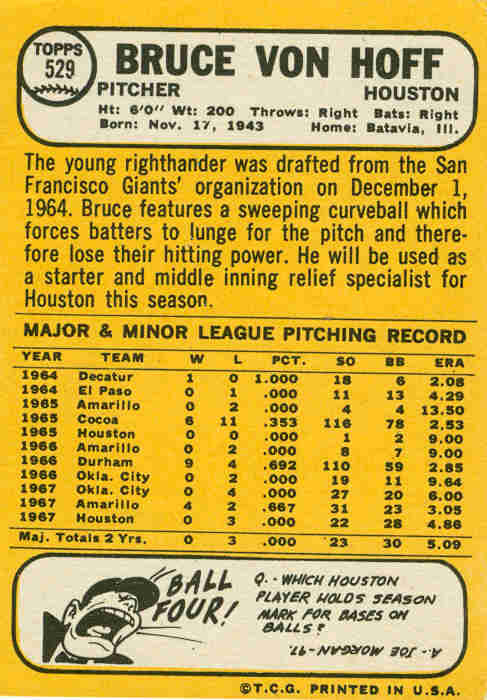 This is the only Topps baseball card for Bruce Von Hoff (#530). 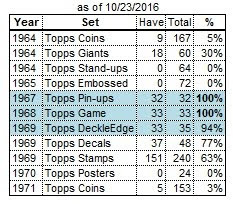 Like Ron Campbell in 1967, and Dave Watkins in 1970, his major-league career was over before his only card was issued. 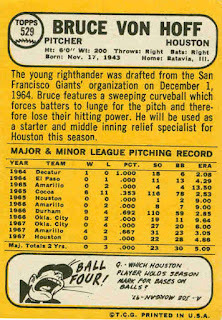 Bruce was signed by the Giants in 1964, and pitched in the minors for 7 seasons (1964-70), mostly at the double-A and A levels. 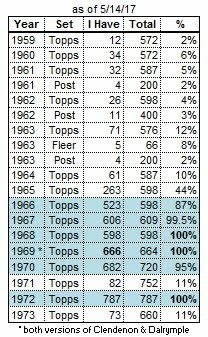 He was a starting pitcher in all but his first season. 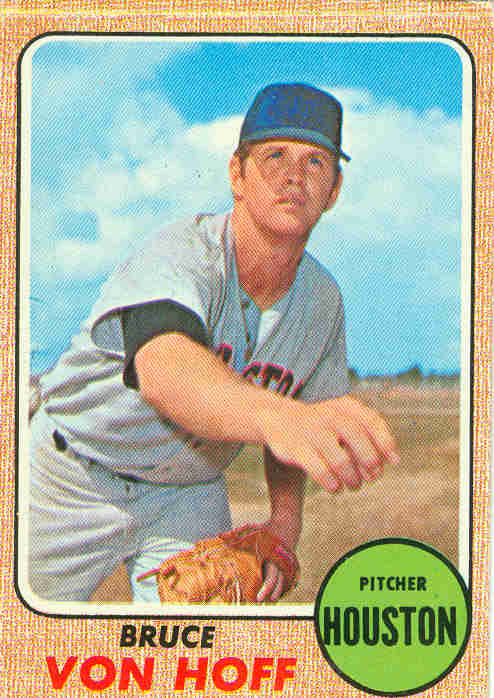 After one season in the Giants' system, Von Hoff pitched for various Astros' clubs for 4 seasons, before moving on to the Reds (1969) and Cardinals (1970). 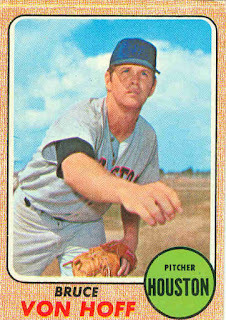 His only big-league experience came in 1965 (3 relief appearances, 3 innings) and 1967 (10 starts, 50 innings total).